Amongst its many collaborative co-creators, the iconic sneaker brand Converse’s most popular and profitable pairing is undoubtedly with the hip-hop mogul, Tyler, The Creator. Having just released a three-piece burlap-inspired capsule, Wolf Haley is back with Converse and Foot Locker to release a special Artist Series. 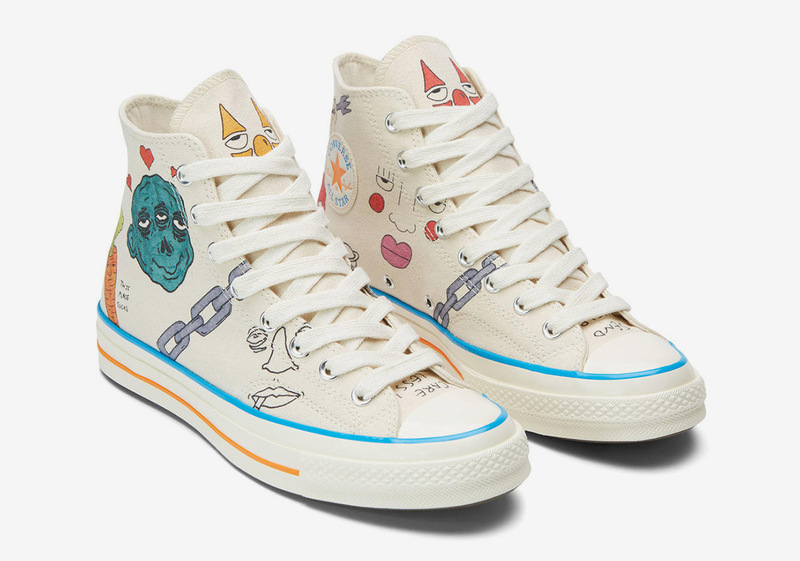 Opting for the Converse Chuck 70 and the One Star as its muse, this special collection features hand-created art done by Wyatt Navarro and Øyvind Lauvdahl, that feature similarly intricate styles that are also unique to their own realities. Wyatt’s work on the Chuck 70 comes semi-colorful and dreamy, meant to mimic Los Angeles’ robust street art culture, while Lauvdahl’s darker One Star aims to resemble the dark and dreary nature of Norway during the winter months. A third and final offering features doodles done by both creators, boasting a split-designed aesthetic meant to help contrast their two styles. Grab a detailed look at both of these Converse classics curated by Tyler, The Creator below and anticipate their arrivals on November 26th.